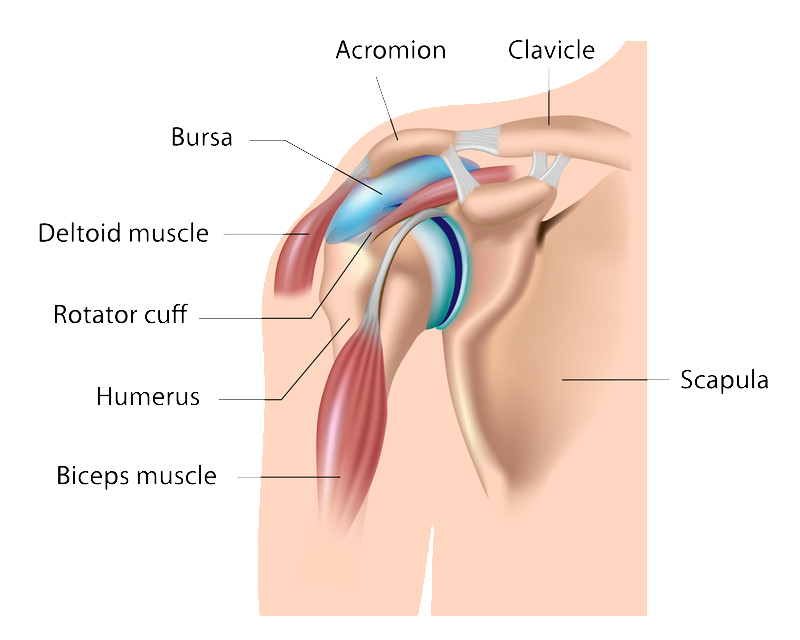 The acromioclavicular joint (AC) is at the top of the shoulder and is the connection of the shoulder blade (scapula) at the acromion and the collar bone (clavicle). This joint allows for some small motion to assist in arm motion. Injuries to the AC joint occur in two ways-a direct blow while the arm is away from the body such as in a fall or tackle or from a fall on an outstretched arm. This can result in a sprain or tear of the ligaments in this location. Those with an AC joint separation will notice a bump at the tip of the shoulder and pain at this site with arm motion especially across the body. X-rays will show a separation of the bones at this location. Evaluation of the AC joint begins with a history of the injury, physical examination and X-rays to evaluate the extent and any associated injuries. MRI or CT scans are not routinely needed. AC joint injuries are classified based on degree of separation and direction. Treatment is dependent on activity level and grade of separation. A majority of sprains and separations can be treated with activity modification, sling, rest, and ice. Large separations, those who perform overhead or repetitive activities, or have continued pain despite treatment with small sprains may be best treated surgically. Surgery is done as an outpatient and is done to realign the joint. In the acute setting this can be done with suture, while in the chronic setting this requires biologic augmentation. Recovery time typically takes one to eight weeks depending on the severity of the injury and if surgical intervention is needed.